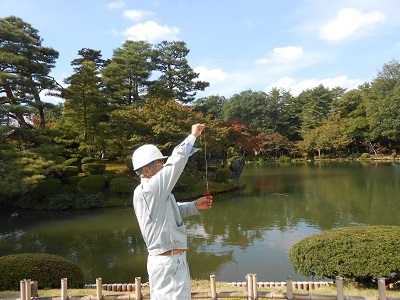 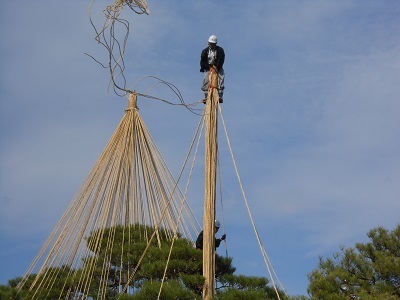 November 1st is the day when gardeners start to build Yukitsuri in Kenrokuen garden. 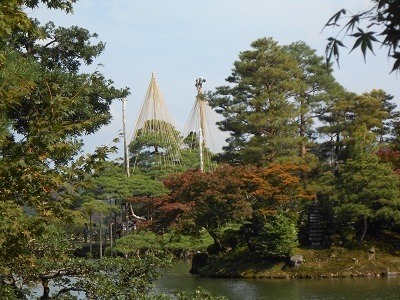 Yukitsuri is a sign that winter is around corner, winter feature in Kanazawa. 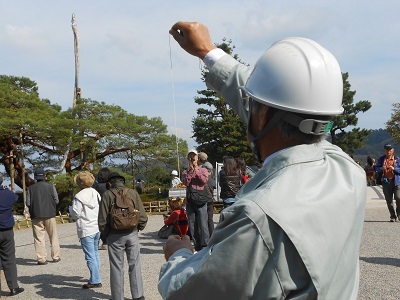 Yukitsuri is a protection for branches of trees against heavy snow. 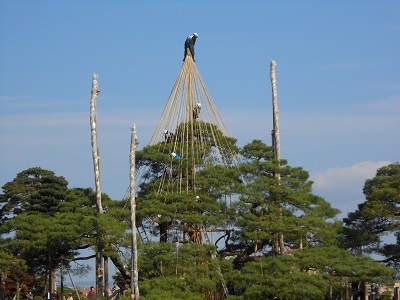 Gardeners begin Yukitsuri at a a big pine tree, called Karasaki-no-matsu at first. 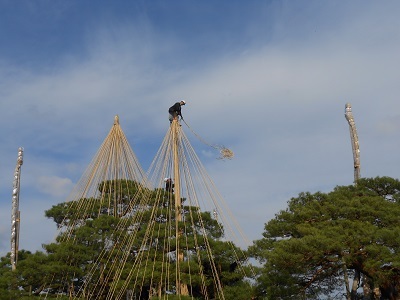 Four cedar poles are set up at the pine tree. 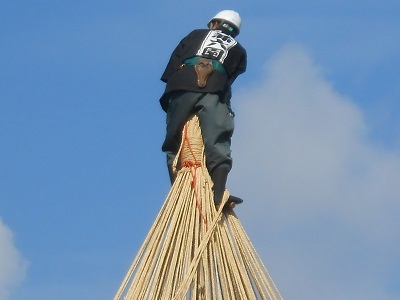 The highest pole is 15 meter-high. 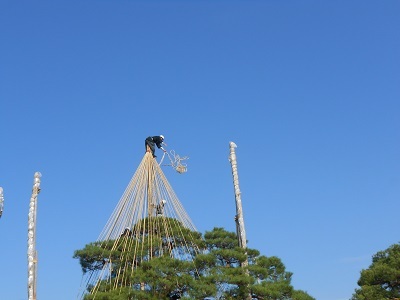 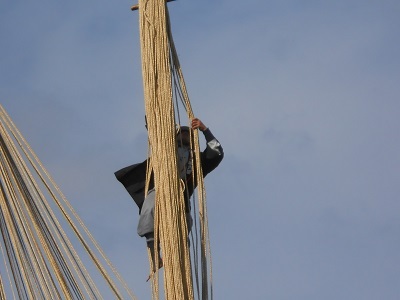 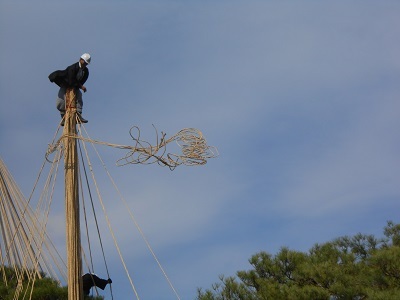 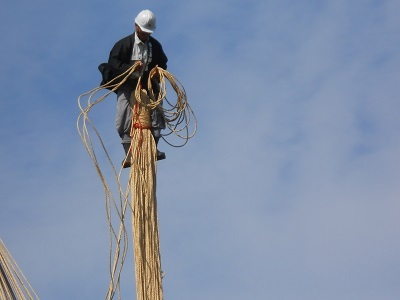 A gardener climbs a pole to the top, and throw down straw ropes tied to the pole top. 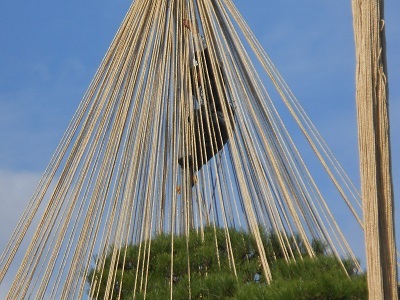 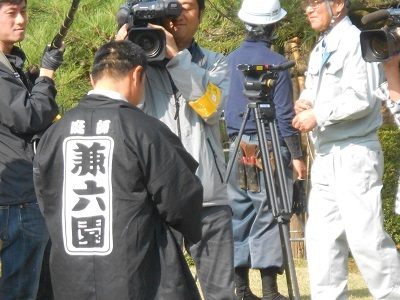 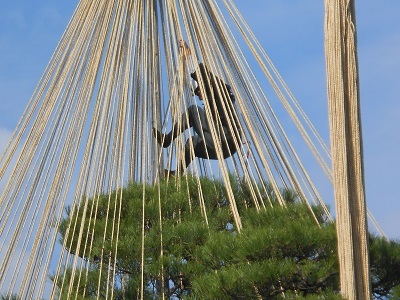 About 100 to 200 ropes are thrown, and tied to branches of the pine tree in cooperation with other gardeners. 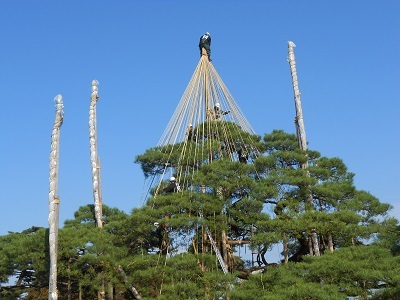 12 gardeners work together in cooperation. 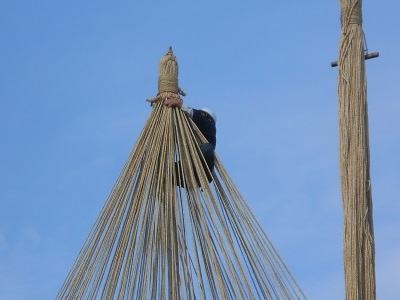 An aesthetic sense is also important to set up straw ropes. 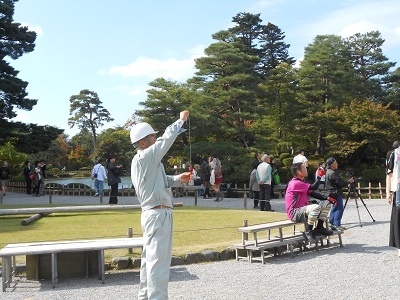 It is impressive to make them look circular cones like unfolding umbrellas. 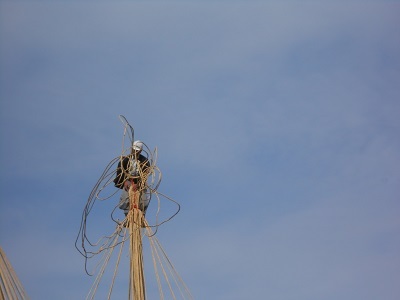 Please enjoy the photos I took on November 1,2013.